Hi everyone! Sorry I have been M.I.A. the last couple of days. I haven’t been home lately. On Thursday night, Craig and I had Subway for dinner and then parted ways. 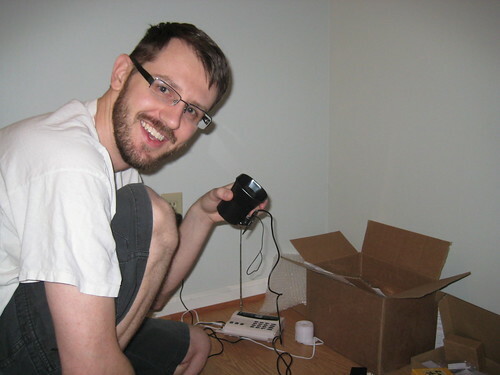 Craig went over to his sister’s house (that was just signed for on Thursday) and started to install an alarm system for her. I went to the mall to get free underwear from Victoria’s Secret, use a Kohl’s coupon for more underwear, and then to the grocery store. I was pleasantly surprised to discover that the new Pick N’ Save (grocery store) near us was finally open! I love exploring new stores and I hated our old Pick N’ Save’s layout, so having a brand new one is so exciting to me. We finally have a salad bar, sushi, a bigger bakery, etc. I just picked up a few free items, fresh produce, and browsed the perimeter. I’ll explore the store more when we need to stock up. My Friday wasn’t too exciting–I was just happy the work week was over. 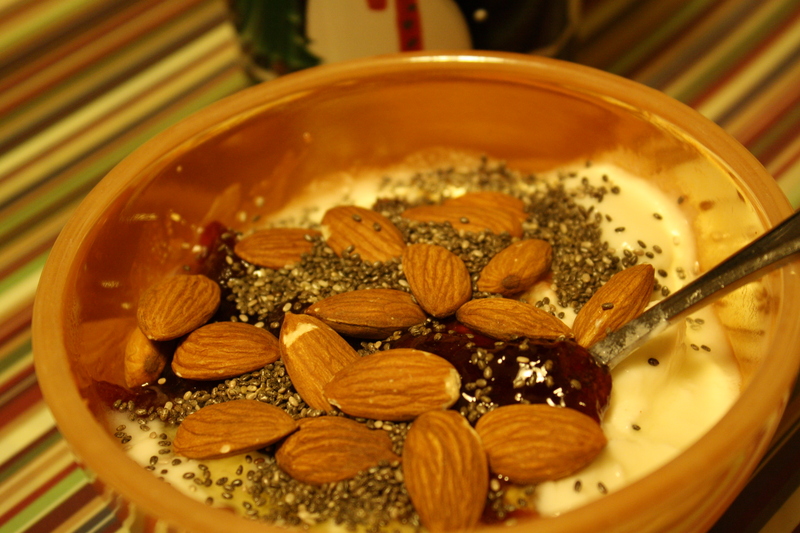 I tried a new product for breakfast. 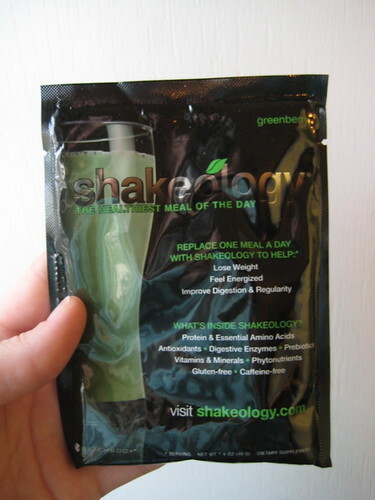 With my hot coffee, I had a greenberry flavored Shakeology. 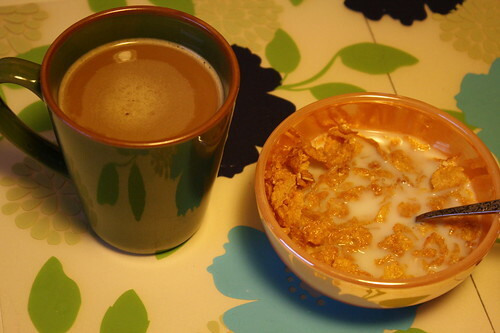 I mixed it with some skim milk. 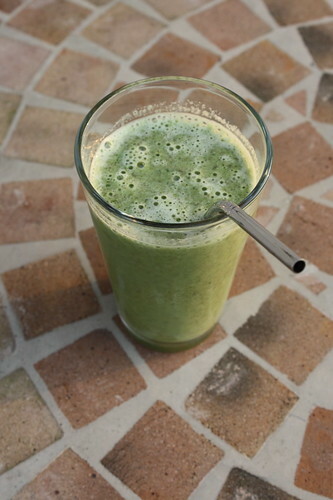 The taste reminded me of Amazing Grass. This is my usual spot I eat breakfast in–our spare bedroom. I watch the morning news and see what the weather will be like for the day. Don’t mind the weird Macy’s bag in the background. That’s just the bag our cat Tanzi likes to lay in. I am not sure I got too full from the shake, but I could have just had one of those days where I wanted to eat everything in sight. 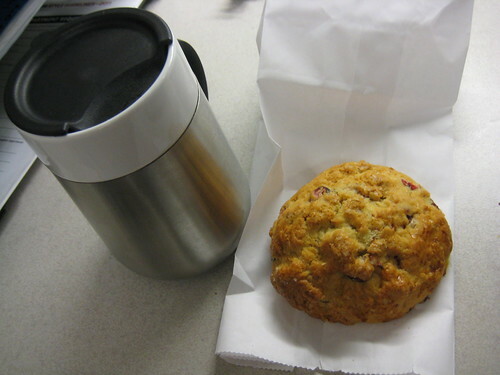 I got a hot coffee and Cranberry Almond scone at work to celebrate the last day of one of my big programs that has been going on for the last month and a half! Hooray! 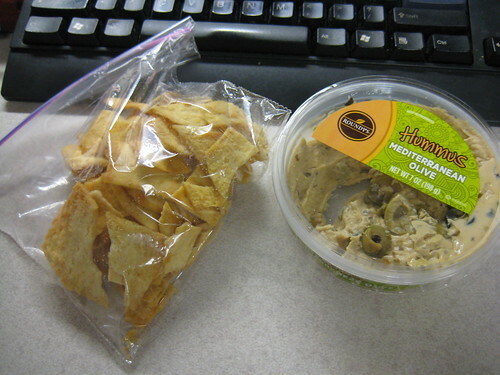 I snacked on some pita chips and Mediterranean Olive hummus close to lunch. I expected this hummus to have Kalmata olives because of the Mediterranean mention in the name, but it had black and green olives. Still was tasty to this olive lover though! 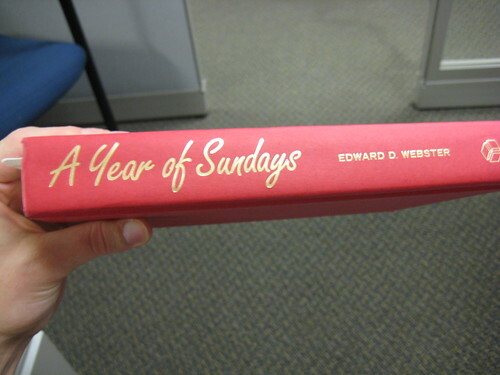 During my breaks at work, I read A Year of Sundays, which I am loving so far! Thanks for giving it to me to read Karis! It’s a true story about a 50-something year old married couple who move to Europe for a year. The woman in the couple is blind, so it’s kind of cool to hear how the man describes places they go to and how he helps her experience places like Musee d’Orsay in Paris. Reading this is making me want to travel to Europe again! And last night, we went to Craig’s sister’s house so he could keep working on the alarm system and I could help her unload her car. 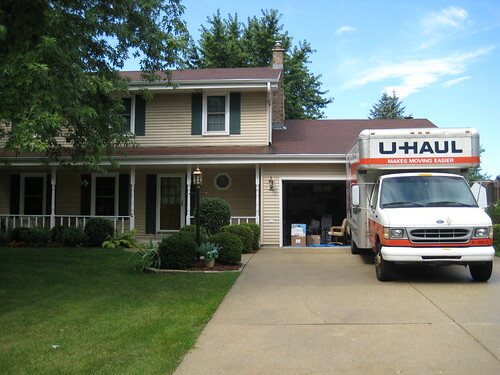 This morning was officially moving day. This is Craig’s parents’ house. 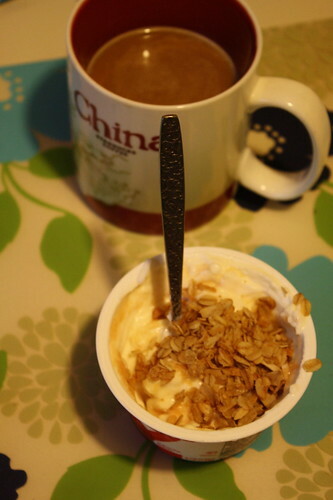 I knew I would need something to fill me up, so I started my day with Mango Chobani yogurt with granola and Chocolate Godiva Coffee that I was able to sample through the Foodbuzz Tastemaker program. 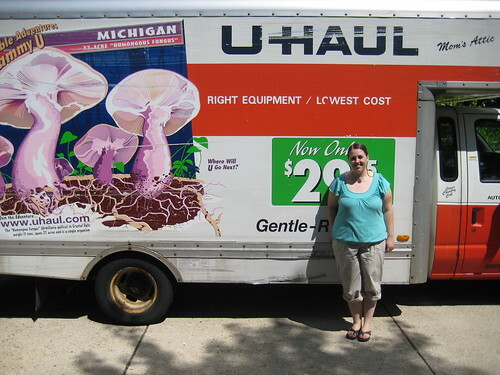 Craig’s sister (also named Lisa) has been living at her parents’ house. She is almost 28 and this is the first time she has lived on her own! I am glad she was able to buy a house. Isn’t her kitchen adorable? The lady who owned the house previously just had it put in in February! 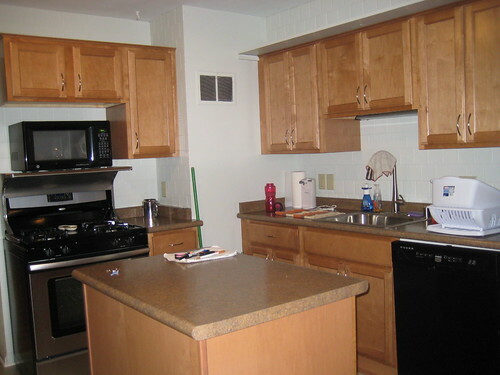 I’ll admit–I am jealous of this kitchen because she has an island, a dishwasher, a few new appliances, and beautiful cabinets that I like the style of. 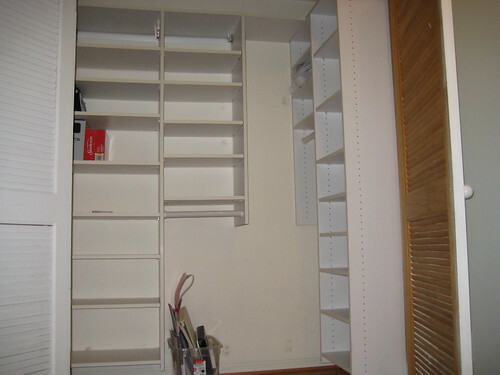 She also has a lot of storage for a house that was built in 1950. 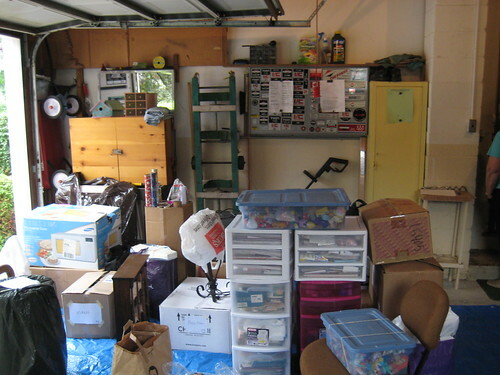 You wouldn’t think one person would have a lot to move, but Lisa did. We lifted boxes for about two hours straight this morning, then had to unload it all for another two hours once we got there. We are exhausted. I was able to sleep for about an hour when we got back and now Craig is hopefully napping away because the kitties are finally quiet and not bugging us for food. Tonight will definitely just be low key. I will relax with a beer later and eat a big salad for dinner. After having pizza and junk food for lunch, I need some veggies. Tomorrow, we will celebrate our 2nd wedding anniversary (it’s on Monday) by going out to lunch. Yay! Happy hump day (evening)! The work week is nearly over! 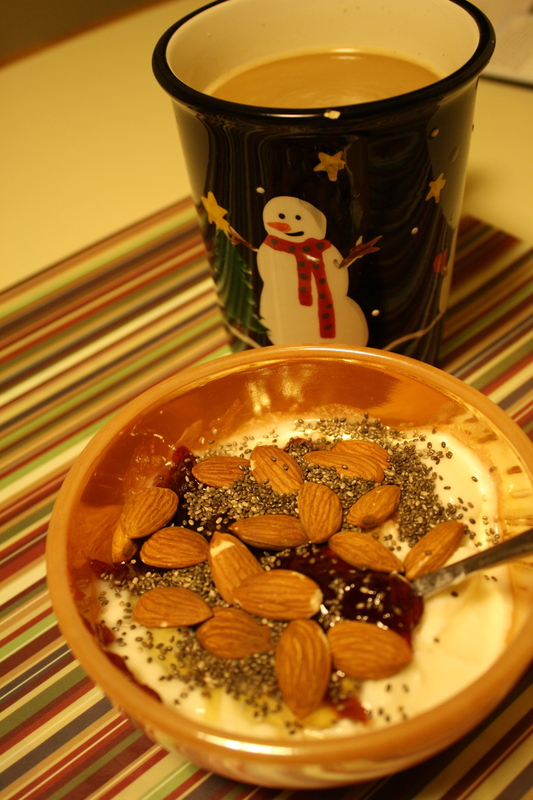 Breakfast was a Christmas themed cup of coffee, TJ’s non-fat plain yogurt, greek non-fat yogurt, almonds, the rest of the Door County Cherry Jam (sad face), honey and chia seeds. 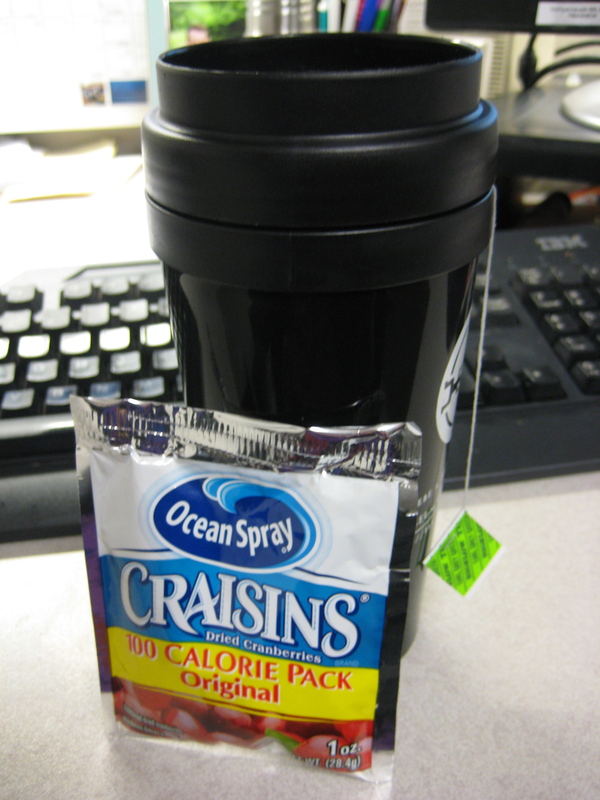 Snack was one of the 100 calorie Craisin packs I got at the walk on Sunday. I love the pomegranate ones compared to these, but in general, they have too much sugar! Oh and I had a cup of Earl Grey to warm me up. I had chills at work this morning! A veggie sandwich on a plain bagel with spinach, cucumbers, tomatoes, hummus and a little bit of mayo. 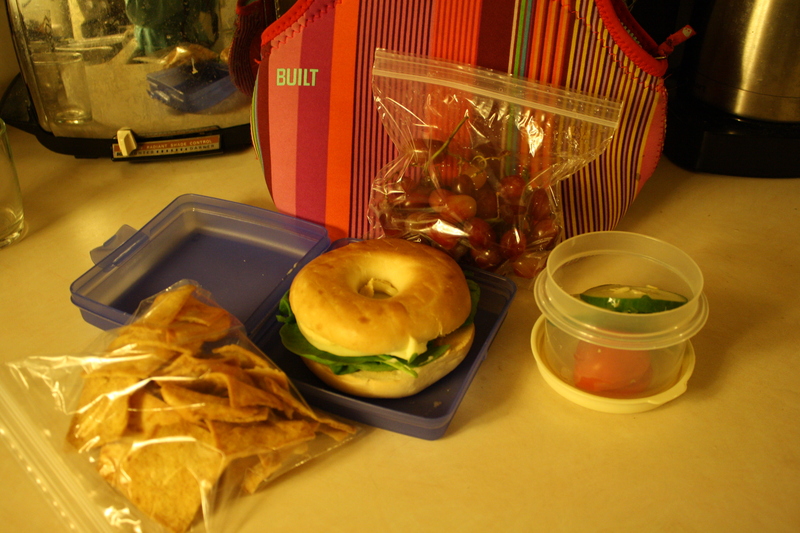 I had some grapes for dessert, plus half of the pita chips featured in the photo. 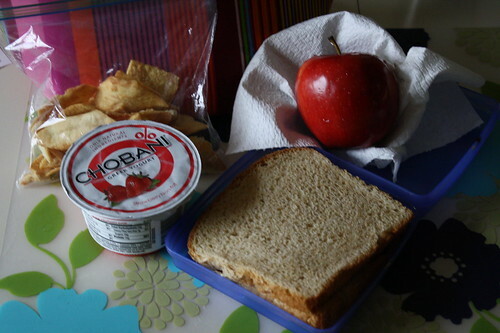 For an afternoon snack, I had the gala apple pictured yesterday. After work, I was still not feeling great but then that cleared up and it was time to hit the gym. I stretched (still a bit sore from Monday, but not too bad), did 17 minutes on the treadmill, some running and mostly walking. Then I did 22 minutes on the elliptical and pushed myself extra hard on that. Next it was lifting weights with the Fitlinxx program tracking me. When I was all done, the Y employee who trained me on the Fitlinxx had left me an e-mail in the system saying that I was keeping up with my fitness goals of 1-3 times of strength training with Fitlinxx per week. Yay! I have been doing about 3-4. 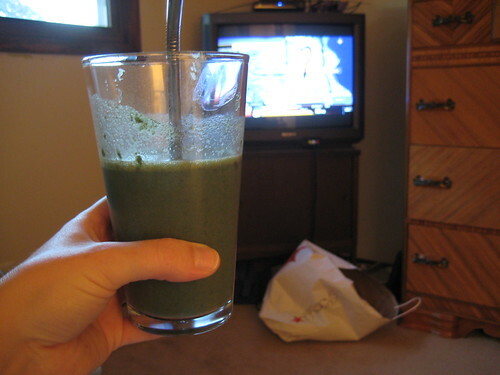 He recommended 3 times a week for toning up. I have gained a little weight from strength training, but that is to be expected. Kind of a boring post today–sorry! Not too much exciting around here on my hump day.